Popping in a day earlier than usual to remind those of you who haven't already bought it (thank you), received it as a gift (hope you liked it), or pirated it (shame on you) that my publisher, Abingdon, continues its practice of making some of its fiction line available as free e-book downloads for Kindle, Nook, and other e-readers. 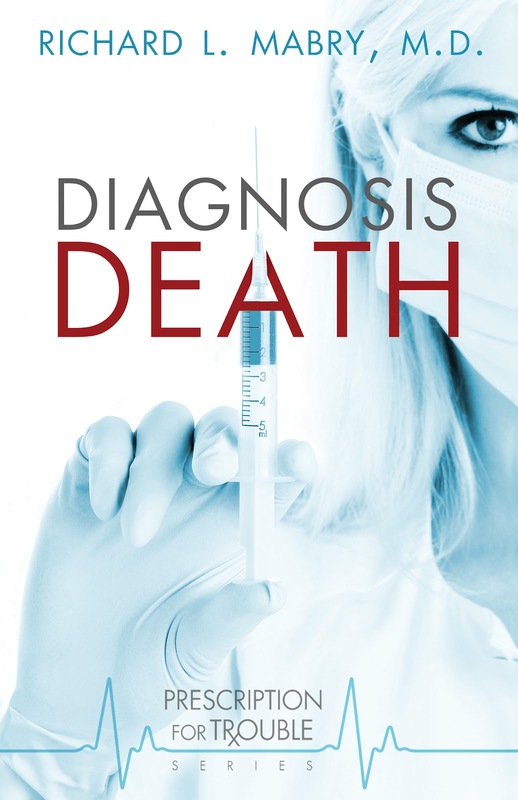 According to the schedule I've received, Diagnosis Death is one such free download today, along with several other worthwhile Abingdon books. Hope you enjoy them. And tell your friends. Now, to relate this to writing--some publishers think the practice of free e-book downloads is good, others don't. I've address this in a previous post, but I'd like to get your opinion. Do you watch for these? Do you take advantage of them? And have you ever, through this means, discovered an author you like and bought other books by them? I'm back from the annual conference of the American Christian Fiction Writers, a 2000+ member group of writers of Christian fiction. As usual, it was excellent, packed with opportunities to learn more about writing and publishing, to meet and interact with editors and agents, and to network with old friends and make new ones. But I'm exhausted. I attended similar meetings when I was in the medical profession. And the reasons for attending were the same--to learn, to interact, to network, and to retain one's visibility among peers. I'm sure there are similar situations in many other professions. So here's your homework for the day. Do you attend meetings and conferences? Is it because you want to or your job requires it of you? What's the best thing about them? And what's the worst? Now, if you'll excuse me, I need a nap. Do any of the authors out there write in your sleep? I confess that I have. Just recently I stopped working on my most recent novel just before what I thought would be a climactic scene. Then, during my sleep, I wrote a scene of such heartbreaking beauty I could hardly stand it. Unfortunately, although I went straight to my computer on awakening, I couldn't reproduce it. It was good, but not great. But I'll continue to polish it, and eventually will have a scene I can turn in. However, I'm not sure I'll ever achieve what I did in my dream. Adelaide Proctor wrote the words to a beautiful song (music by Sir Arthur Sullivan of Gilbert & Sullivan fame). The title is The Lost Chord, and although some of you may be too young to have ever heard it, I strongly recommend you check it out. The line that sticks with me is "...But I struck one chord of music like the sound of a great Amen." The gist of the song is that, while letting my fingers run over the organ's keys, I hit a chord like no other ever heard. Although I couldn't reproduce it, maybe I'll hear it again in heaven. Writing's like that. I know writers who work on the same novel for years, trying to make it the writing equivalent of that lost chord. Sometimes we just have to settle for "as good as I can make it." But we all strive to achieve work that "sounds like a great Amen." Writers, how long do you work on something before deciding it's not going to be perfect? Readers, have you ever read a scene or even a paragraph that's the literary equivalent of the lost chord. Later this week I'll be at the annual conference of the American Christian Fiction Writers. 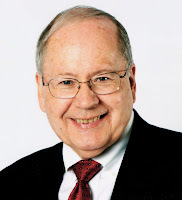 I'll attend some classes, be a part of the deliberations of the Operating Board, attend the Gala where I'll have the privilege of presenting one of the awards, and enjoy visiting with friends and colleagues. And it will all be good except for one thing--I've made an appointment to have a new headshot done while I'm there. There was a time in my life when I enjoyed being the subject of a photo. But that was long ago, in a galaxy far away. Now, the hair is thinner, the face is fatter, and I've decided that there's no way I'm going to be a contestant on America's Top Model. But it's still a necessity for a writer to have a headshot--a head and shoulders photo for use on book covers, blogs, press releases, and a bunch of other stuff that I had no idea ten years ago would be a part of my life. I've used the same headshot since starting to write, and I sort of like it. 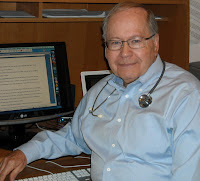 Informal, sitting in front of a computer, with a stethoscope slung around my neck. And for more formal occasions, I use the second one I've posted here. And that should be enough. Right? Oh, well. The photographer is a very talented lady. If she can't make a silk purse out of this sow's ear, maybe she can at least fashion a better-looking sow's ear. We'll hope so. How about you? Do you like being the subject of photos? Or are you more comfortable on the other side of the camera? I'm currently working my way through novels by some of my favorite authors. I was a fan of John Grisham and his books before I knew that he was a practicing Christian. But since I've been writing it myself, I've reread his books with an eye to determining whether they'd qualify as "Christian fiction." I've tried to define the genre before, and I won't try again--it is what it is, and like a giraffe, I find it hard to describe but you'll know it when you see it. But to me, Christian fiction need not contain a conversation scene, a trip down the "Roman road," or an altar call. See what you think about this one. The book I just finished is The Last Juror, published in 2004. In it, the protagonist, editor of the newspaper in a small Mississippi town, becomes friends with an elderly black lady named Miss Cassie. Early in the course of the book, Miss Cassie asks him, "Are you a Christian child?" When he says his parents "dragged him to church" every Easter, she proceeds to educate him, complete with Bible references, on what it takes to be a Christian, on the sinfulness of all mankind, and God's offer of eternal life as a gift. Later in the book, he visits various churches in the area (in order to write about them), and the reader is treated to vignettes that emphasize the love of a church in action. The ending is sad, but includes a heartfelt prayer. Now I'm about to finish The Testament. I chose it randomly from the bookshelf and was amazed to find that a major character is a Christian missionary, a woman working deep in the jungles of Brazil. In a number of scenes, Grisham portrays God at work in her life and her influence on a not-fully-recovered alcoholic lawyer sent to find her. There's no question in my mind that Grisham probably reached thousands of non-Christians through this book. So, there you have it. Best-selling novels by a best-selling novelist, each containing Scripture, a presentation (although indirect) of the method of and need for salvation, and a commentary on the way God can impact and change a life. That's Christian fiction in my estimation, even though the publisher is not a member of CBA. 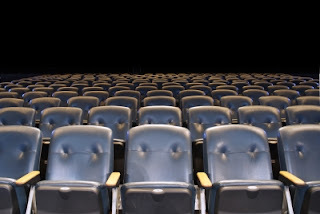 Personally, if I could write a novel that contains a message as compelling as The Last Juror or The Testament, I'd feel that I'd fulfilled my calling to write Christian fiction. What about you? Would you call this Christian fiction? Why or why not? I'd like to know. In a previous post, I discussed book covers, how they were designed, who has input, etc. 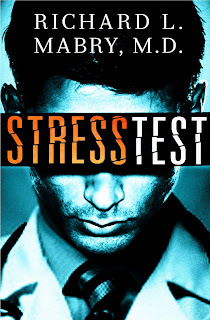 At that time, I shared with you the proposed cover design from my publisher, Thomas Nelson, for my next novel of medical suspense, Stress Test. Some of you liked it, a few didn't. But the decision was made, and I thought that was the end of the matter. Well, things changed (as they sometimes do in publishing). There was more input, this time from the sales and marketing team and even from the buyer for a large retailer. As a result, that cover is out, this one is in. And I have to admit that it certainly reflects the main arc of the book--a doctor, stressed to the limit, then put in an even worse situation. Or, as the blurb says, "They may not have enough evidence to convict him of murder, but they have enough to ruin his life." 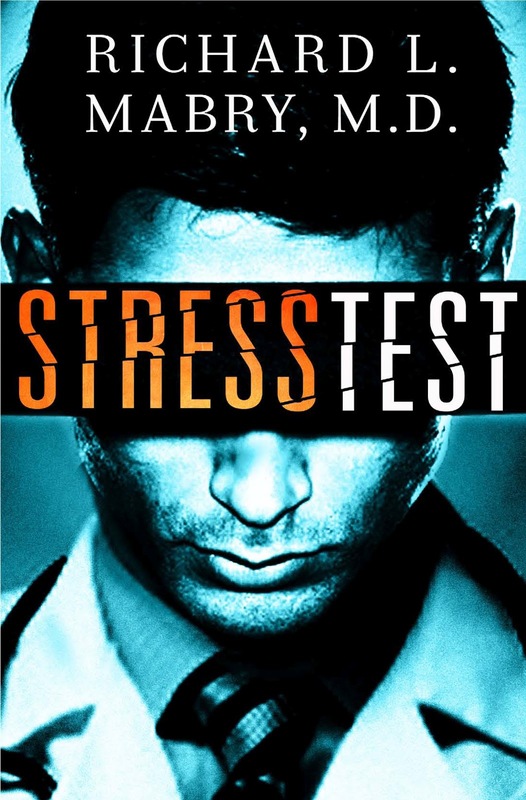 Eventually, this cover will show up on the various bookseller sites, where Stress Test is already available for pre-order prior to its late-March/early-April release. In the meantime, I'm delighted to read some of the early endorsements of the book. Let me share just one with you, from New York Times best-selling author Tess Gerrittsen: "Packed with thrills, Stress Test is a lightning-paced read that you'll read in one breath." Were you surprised that a cover design, once done and accepted, would be changed? Do you like this behind-the-scenes view of what goes in in an author's life? Let me know. Heads-Up: Author Jean Henry Meade is interviewing me tomorrow on her blog, Mysterious Writers. The interview will be up for a week. Hope you all will drop by and let Jean know that Christian fiction has a broader appeal than some folks may realize. Thanks. It's September, and many of you reading this blog are preparing to attend the annual conference of the American Christian Fiction Writers. This year, it's at the Hyatt at Dallas-Fort Worth Airport. In case you haven't heard, this area is the epicenter for cases of West Nile Virus this year. There have been multiple deaths, most of them elderly people or those with pre-existing health problems. The whole thing is scary. 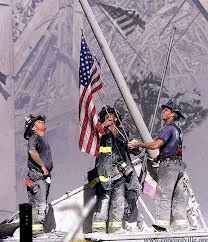 So, what can you do to protect yourself while you're here? West Nile Virus is transmitted to humans via the bite of an infected mosquito. Health authorities have carried out an extensive campaign of ground and aerial spraying of a chemical to reduce the population of infected mosquitoes, and it appears to be working. (And, lest you have fears about the spraying, it should be done by conference time, and it has a great track record of safety for humans). But West Nile cases will probably continue to show up through September. To protect yourself, simply get an insect repellant, preferably one that contains DEET (check the label), and use it before going outside. You might also want to avoid perfumes and colognes, but the conference asks you to do this anyway. Nothing fancy--just common sense advice. Hope you take it. And have a great conference.